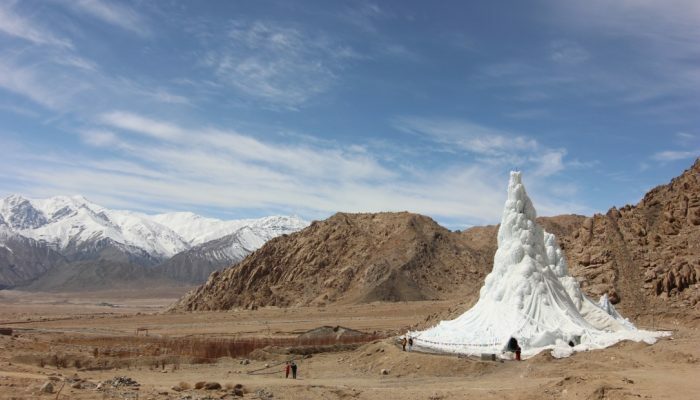 Cryospheric Sciences | Image of the Week – Ice Stupas: a solution for Himalayan water shortage? 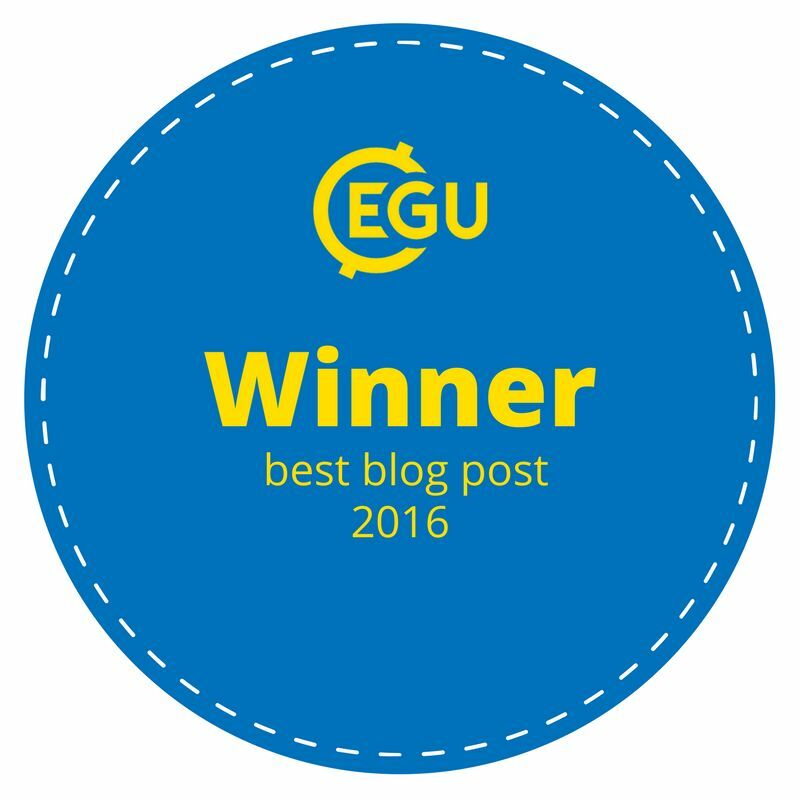 EGU Blogs » Divisions » Cryospheric Sciences » Image of the Week – Ice Stupas: a solution for Himalayan water shortage? As the world searches for practical innovations that can mitigate the impact of climate change, traditional methods of environmental management can offer inspiration. In Hindu Kush and Karakoram region, local people have been growing, or grafting, glaciers for at least 100 years. Legend has it that artificial glaciers were grown in mountain passes as early as the twelfth century to block the advance of Genghis Khan and the Mongols! People in the Himalayas need water for the irrigation of their crops. Naturally, they get this water during the melting period of local glaciers. Glacial melt, however, is insufficient to satisfy the demands in early spring (April-June). Artificial ice structures can increase the availability of water for crop irrigation during this period. They are grown during the winter season preventing the water to waste away into the ocean. The Ice Stupa project is bringing these practices back from the realm of folklore for the everyday use of mountain farmers again. An artificial glacier is built following a simple technique. 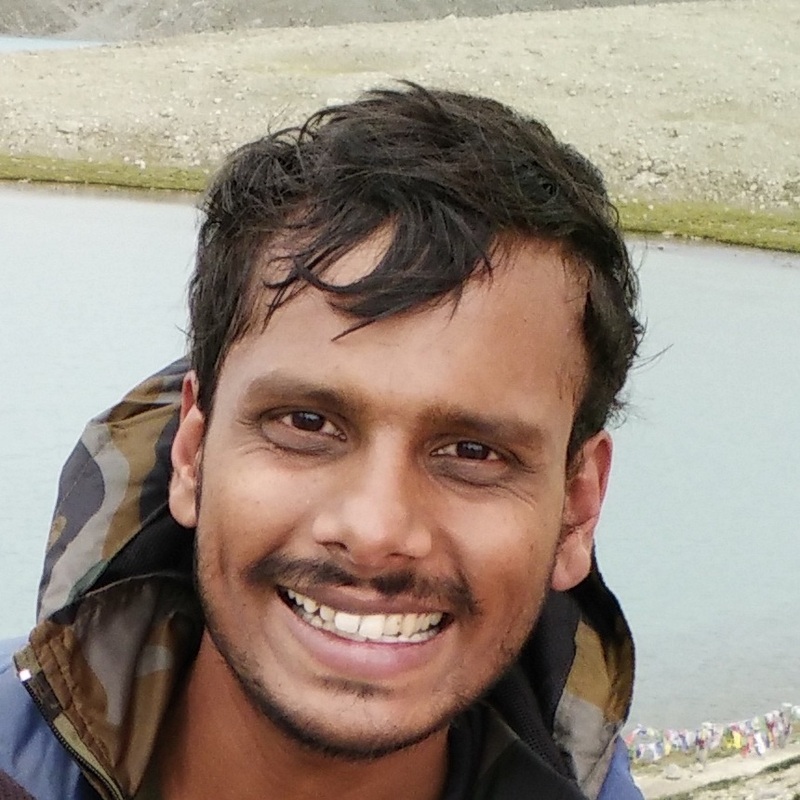 Water is piped away from high altitude reservoirs (glacial lakes or streams) in winter. Further downstream, the water is allowed to “leave” the pipe. Due to gravity, the pressure that has built up on the way forces the water to leave the pipe as a water fountain. In contact with subzero temperatures, the water fountain freezes, building a huge cone of ice. In its final form, this artificial glacier looks like a traditional buddhist building, hence the name “stupa“. In the following video, you can get a better visual idea of the process! An ice stupa is needed for crop irrigation. The water contained in the stupa should therefore also be released during the right time of the year. To this purpose, it is also designed to conserve water in ice form as long into the summer as possible. It can then, as it melts, provide irrigation to the fields until the real glacial melt waters are sufficient in June. Since these ice cones extend vertically upwards towards the sun, they receive less of the sun’s energy per unit of volume of water stored. Hence, they will take much longer to melt compared to an artificial glacier of the same volume formed horizontally on a flat surface. About Ancient Glacier grafting practices: Ingvar Nørstegård Tveiten (2007): “Glacier Growing – A Local Response to Water Scarcity in Baltistan and Gilgit, Pakistan“. Master thesis, Norwegian University for Life Sciences.